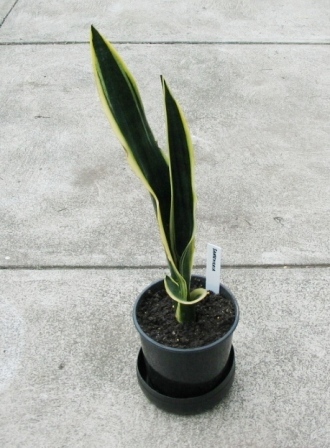 Sansevieria plant, with watering tray and plant label made from a black and a white recycled plastic container respectively. We can all produce less waste by practicing the “3 Rs” – Reduce, Reuse, Recycle. By reducing the amount of disposable materials we buy, reusing what we have, and recycling existing materials, we reduce demand on non-renewable resources. Every little bit counts, including what we use in the garden! 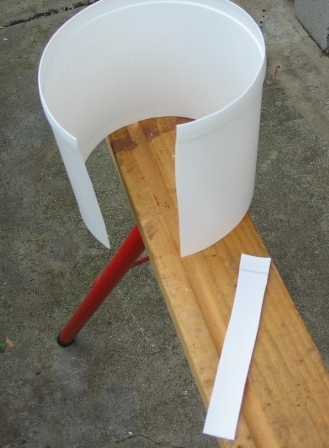 Here’s a quick and easy project, recycling plastic polypropylene food grade containers to make plant labels and pot plant watering trays. Each container will produce one watering tray and twenty or so plant labels, which is not bad considering it only takes a few minutes effort, costs nothing, and saves you going out and purchasing the items. 1. 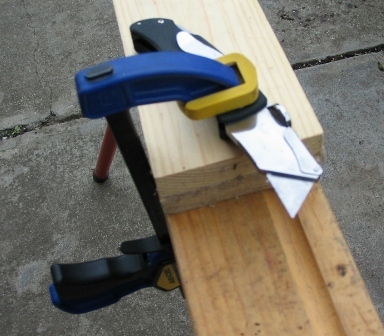 Position the craft knife on top of the wooden elevating block, and clamp down to table or work surface. 2. 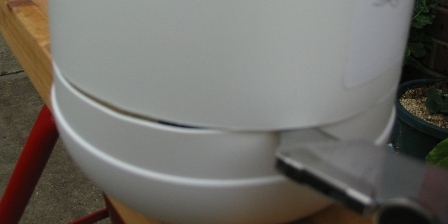 Place container flat on work surface, and position bottom edge against blade point. 3. Rotate container, bracing it with both hands if necessary (keep fingers clear of the blade) and rotate so blade tip scores the plastic. 4. 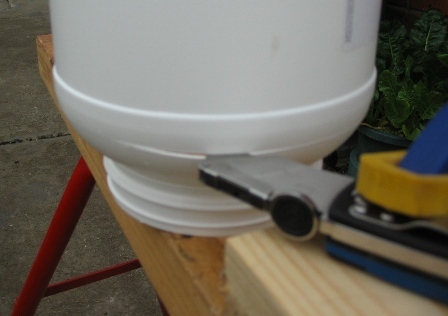 Keep rotating container against the blade until it starts cutting right through, then rotate slowly and carefully, making sure the base is kept flat on the supporting table at all time. 5. 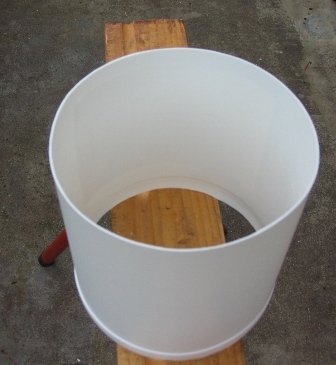 Base cut through and separated to form a watering tray that can be used under a pot plant. 6. Cut off top and dispose of it in your recycle bin (unless you can figure out another use for it!). 7. Sides separated from top end bottom, this will be used to make the plant labels. 8. Cut through along the side to unroll the plastic sheet flat. A. At this point, you can just cut off strips with a sturdy pair of scissors/shears. B. 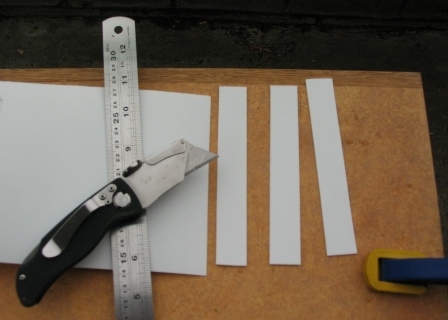 Or you can place the plastic sheet on a flat surface (that you don’t mind damaging, as it will get badly scored by the knife blade), and cut the strips using the craft knife and a steel ruler as a guide. This method will produce nice straight regular cuts and is very fast. Be careful of your fingers and make sure that everything is held down well so the blade does not slip! 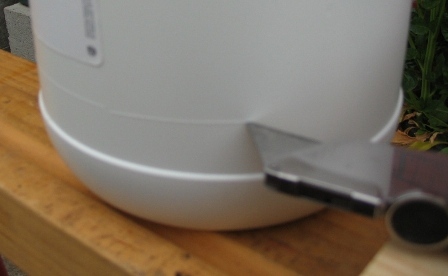 The plastic is slippery, and can slide over the cutting surface. 10. Once the strips are cut, remove the corners on one end to make a point. This container produced 21 plant labels! By adjusting the height of the spacer under the blade, you can make your trays deeper or shallower to suit your requirements. If you use whiteboard markers to write on your labels, you can simply wipe them clean and re-use them. Obviously, you would only do this for high turnover applications, not exposed to weather, such as seedling trays. So now you can have labels for your pots and seed punnets, and watering trays for your small pots, all made from recycled materials! i am visiting your site after a long time and gasp at the size and depth it is now! i have a couple as long term interns at pointReturn and i am introducing them to your work. they are dropouts from the corporate world and full of enthusiasm. they may be getting in touch with your for your advise and wisdom. trust you will have the time. Your interns are welcome to get in touch with me at any time, I’m more than happy to share any knowledge, experience and wisdom that I can. I really admire and respect the scale and extent of the permaculture work you’re doing on pointReturn, it’s impressive stuff! dear angelo – this is one half the long term interns from point return with DV. my email has been appended along with this reply. Have been used the wooden lollipop sticks written with ball pen for labelling which dispersed after rain or other reasons, & thinking of buying the aluminium labels from Bunnings which I don’t like. 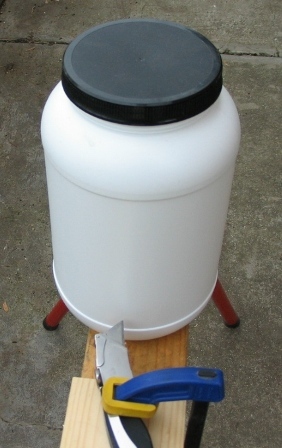 Now I will use yogurt or ice cream containers to make labels! Thanks, it’s a great way to recycle household plastic, to make plant labels from them. You can use permanent markers on icecream sticks, they last OK as long as they are dry when you write on them, if they have taken up a bit of humidity, the ink spreads too much and they become hard to read. I live in Amsterdam and here a lot of our garbage ends up on the street near the place where the garbage-men (thanks guys) pick it all up the next day or so. Also old (or not so old) luxaflex. Luxaflex you use in stet of a curtain, its all small slips of plastic and a fancy system to open en close it. Thanks for some great recycling ideas! I’m passionate about repurposing everyday items to reduce our personal footprint on the planet and teach others how to make their own garden supplies from household ‘waste’. A few of these are plant labels and watering cans from milk bottles, seed raisers from plastic meat trays, egg cartons and toilet rolls and organic fertiliser spray bottles. 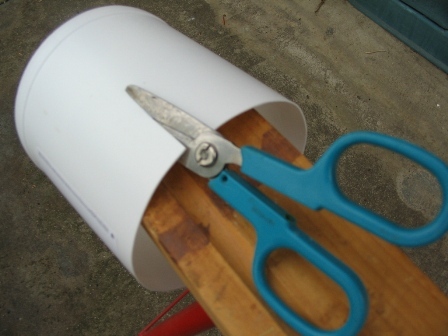 Happy to share the instructions with you at http://themicrogardener.com/frugal-gardening-%E2%80%93-5-thrifty-recycling-ideas/. I make mine out of old plastic mini blinds. 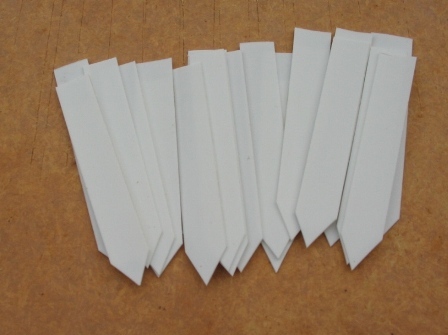 They are perfect for plant markers and you can make them as short or tall as you want then. So another idea – I had thought the white jar was going to be a planter at first. 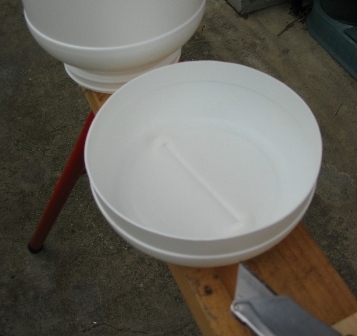 Once you cut the bottom off, leave the lid screwed on & punch a hole in it for drainage, turn it upside down and place in the bottom as the watering tray. The tapered top will fit nicely into the bottom as the tray I think! Hi, the top could be used to put around squash plants to keep the stem from contacting the soil as it grows and thwarting squash bug larvae. Or, to wrap around landscape plants to prevent mulch from resting close to the stem, especially in winter. I though about doing it up the other way, but thought watering would be tricky, however it would create a little hot house for those seedlings, would just need to ensure water was getting into the edges.